The news follows last week’s release of another new song, “Midnight.” The track’s video was directed by Mary Wigmore, the godmother of lead singer Chris Martin's daughter Apple – watch it here. “Ghost Stories”, “Magic” and “Midnight” can be ordered via the Amazon links below. 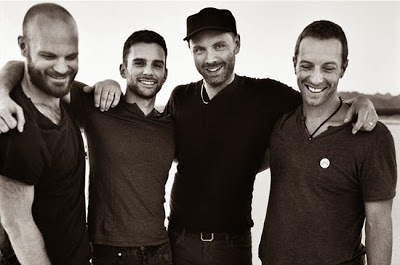 Coldplay will play a free show as part of the 2014 iTunes Festival during SXSW in Austin, Texas on March 11.